Home / Six Sigma / What is LEAN Management and How it is Used to Eliminate Waste? If you were quite interested in quality management or Six Sigma projects previously, you should have heard about Lean Management or Lean Six Sigma. 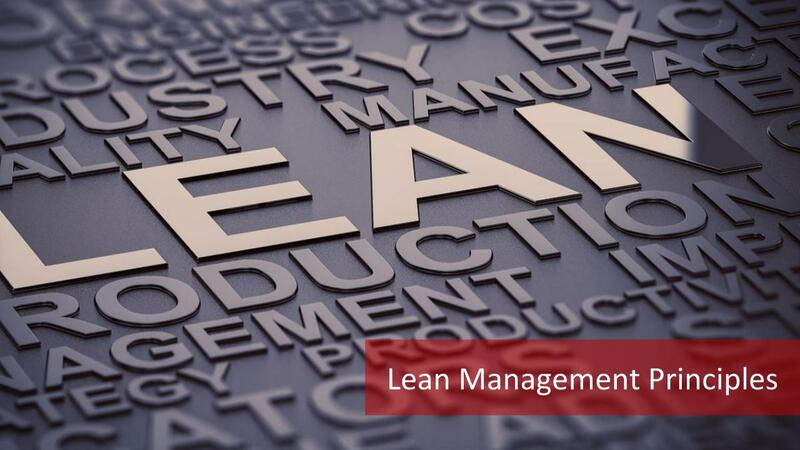 But what is Lean Management? It was started by Taiichi Ohno at Toyota. It is also known as the Toyota Production System: Lean Management derives its methodology from the Toyota Production System. While Toyota was responsible for developing this process, Motorola developed the Six Sigma method. Lean Management goes hand in hand with the Six Sigma problem-solving process which is why you will often see Lean Six Sigma training. Lean principles form part of the Six Sigma Green Belt Certification programs. You can also have a brief introduction to Lean Six Sigma with the help of a free Lean Six Sigma training. 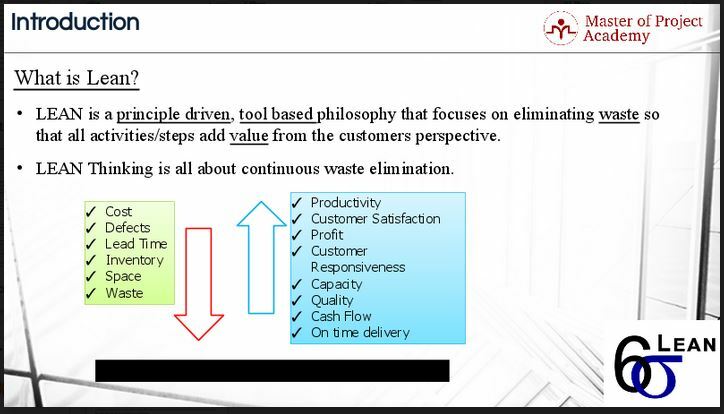 Lean Management is a principle-driven, a tool based philosophy that focuses on eliminating waste so that all activities/steps add value from the customer’s perspective. Six Sigma is aimed at reducing the variability and Lean Management aims to reduce waste. Lean Management aims to reduce these wastes. Lean Management is a strategy and process for operating in a superior way. If we illustrate the Lean Management in a figure it would be as follows. Lean Management aims to reduce cost, defects, lead time, inventory, space, and waste. This means a relentless focus on reducing non-value adding activities. In this way, we can increase the productivity, customer satisfaction, profit, customer responsiveness, capacity, quality, cash flow and on time delivery. The Lean Management Toolkit offers practical tools and techniques that can help Lean Management and other specialists on the shop floor to deliver Lean Management decisions as a routine task of their Lean Management driven business operations. This Lean Management toolkit has been divided into two levels. The first level of Lean Management is targeted at exposing the waste. To expose the waste, five tools are needed. Over the time, as the organization reaches to a more mature level, waste is expected to be minimized. After minimization of the waste and reaching a more mature level as an organization, reducing the variability and controlling the process is aimed at the second level. There are 5 fundamental principles of Lean Management. Now, we will be going over each principle one by one. The first principle is Identify Customers and Specify Value or to specify value from the standpoint of the end customer by product family. The starting point is to recognize that only a small fraction of the total time and effort in any organization actually adds value for the end customer. By clearly defining a value for a specific product or service from the end customer’s perspective, all the non-value activities – or waste – can be targeted for removal. 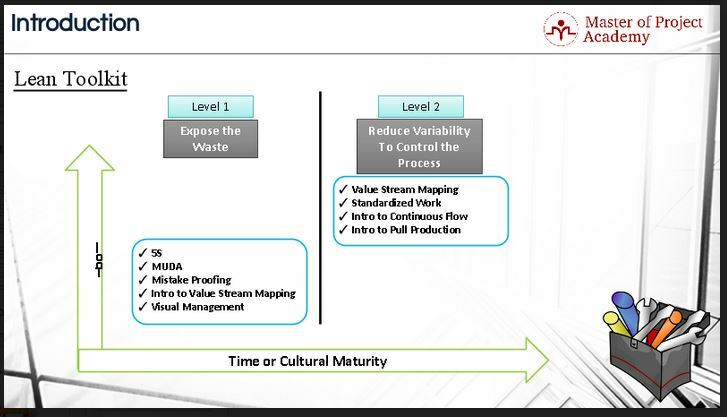 The second principle is Identifying and Mapping the Value Stream. This step involves identifying all the steps in the value stream for each product family, eliminating whenever possible those steps that do not create value. The value stream is the entire set of activities across all parts of the organization involved in jointly delivering the product or service. This represents the end to end process that delivers the value to the customer. Once you understand what your customer wants, the next step is to identify how you are delivering (or not) what they need to them. The third principle is to Create Flow by Eliminating Waste. This means making sure that the value-creating steps occur in tight sequence so the product will flow smoothly toward the customer. Typically when you first map the Value Stream you will find that only 5% of activities add value, this can rise to 45% in a service environment. Eliminating this waste ensures that your product or service “flows” to the customer without any interruption, detour or waiting. The fourth principle is to Respond to Customer Pull. As flow is introduced, one should let customers pull value from the next upstream activity. This is about understanding the customer demand for your service and then creating your process to respond to this. This must happen in such a way that you produce only what the customer wants when the customer wants it. The fifth and last principle is to Pursue Perfection. As value is specified, value streams are identified, wasted steps are removed, and flow and pull are introduced, and then the process begins again and continues until a state of perfection is reached in which perfect value is created with no waste. Creating flow and pull starts with radically reorganizing individual process steps, but the gains become truly significant as all the steps link together. As this happens more and more layers of waste become visible and the process continues towards the theoretical end point of perfection, where every asset and every action adds value for the end customer. By following these five principles you will implement a philosophy that will become “just the way things are done”. Lean management is a never-ending process and that is why it also is a continuous waste elimination process.